Souvenir NameFlexible RulerMOQ100PCSProduct Size310x36MMAvailable ColorBlue/Yellow/Pink/GreenPackage.. Souvenir NameSoft Plastic RulerMOQ100PCSProduct Size15CM/20CM/30CMAvailable ColorBlue/Yellow/Pink/Gr.. Souvenir NameRulerMOQ100 PCSProduct Size16x1.7 CMMaterialAcrylicSample Lead Time5 DaysProduction Lea.. 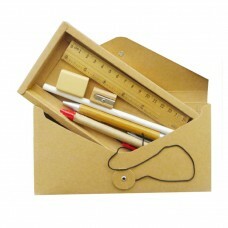 Souvenir NameStationery SetMOQ5000 SetsProduct Size26.7x17.5x2.5 CMMaterialPaper+Wood.. 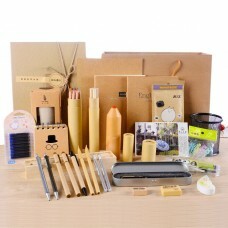 Souvenir NameStationery SetMOQ10 SetsProduct SizePaper+WoodProduct Net Weight690g.. Souvenir NameWooden PostcardMOQ100PCSProduct Size15 CMMaterialWoodImprint SurfaceWoodAvailable Color.. Souvenir NameStationery Gift SetMOQ100PCSProduct Size23x19.5x2 CMMaterialPlastic + Paper Box + WoodA.. Souvenir NameStationery Gift SetMOQ100PCSProduct Size19x8x2 CMMaterialPlasticAvailable ColorBlue/Pin.. Souvenir NameRulerMOQ100PCSProduct Size20x4.3CMMaterialWoodenImprint SurfaceWoodenProduct Net Weight.. Souvenir NameAdvertising RulerMOQ100PSCProduct Size15CMMaterialPlasticAvailable ColorMilkyProduct Ne.. Souvenir NameCartoon Wooden RulerMOQ100PSCProduct Size15x28MMMaterialWoodenAvailable ColorGreen bow .. Souvenir NamePuzzle RulerMaterialPlasticMOQ100PCSProduct Size15.5x6.5x0.7CMPackageOPP BagOuter Packi.. Souvenir NameRuler SouvenirMOQ100PCSProduct Size31x4x0.2CMMaterialPSImprint SurfacePSMax. Imprint Ar.. Souvenir NameBio-Degradable RulerMOQ10000 PCSProduct Net Weight40..